If the words "15-inch 360 ° rotating convertibles" do not scare you, the new Dell XPS 15 9575 is bread for your teeth. 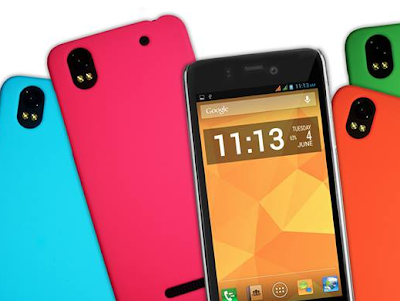 Difficult to find better in this range, but you really have to want that rotating screen. The XPS 15 2in1 has much in common with the non-convertible version. The design is basically that, as are the materials. Metal above, metal underneath, carbon fiber in the middle (always greedy for fingerprints). Change obviously the zipper and all that accompanies it, and from this point of view Dell has done a great job. The screen remains in fact in the position where you put it, almost like non-rotating solutions. Of course, something like this should be evaluated after months and months of rotations, but we want to give confidence to the skill of Dell. On the side we find a pair of Type-C connectors on each side, accompanied by the inevitable charge LEDs (it would not be time to send them to retirement) and a microSD reader . 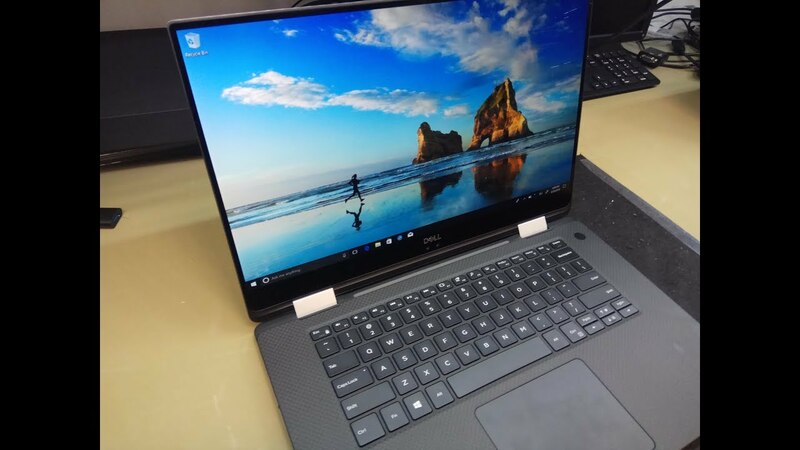 Dell therefore chooses "modernity", in contrast to what was done on the new XPS 15 9570, which maintains the same doors as last year. On the one hand it's fine, on the other you'll have to prepare yourself for a dongle. We are however very happy that Dell has therefore decided to adopt a Type-C charger. Sin did not do the same in traditional XPS 15. With a weight of 1,978 kg, thanks also to a smaller battery than the traditional model, the XPS 15 9575 is certainly not comfortable to use as a tablet if held in hand. But we appreciated the stiffness of this solution, because when the screen "collapses" on the back of the PC it seems almost glued to it. The idea is clearly to place it on a table to be able to write on it with a stylus in a comfortable way. Too bad that the pen is not included in the package. At first glance seems the usual Dell keyboard, but it is not. It is a " maglev keyboard ", a magnetic keyboard. There are in fact small magnets under each key, which help to recreate some feedback even in a keyboard with a stroke of just 0.7 mm. Personally, however, I only partially appreciated this solution. The sound of the keys is in fact rather metallic and not very pleasant, and the feedback that the magnetic force had to help to recreate in reality I did not perceive it too much. Also present, of course, the backlight , which is traditionally on only two levels. A more sacrificed coat than on the other XPS, due to the reduced stroke, remains valid in the dark. Already with a little daylight, however, the first few lines of the keyboard are less evident. As per tradition, it is one of the best touchpad on Windows laptops . The only thing that the critics, and I will do more and more over time, is that it could be a little 'wider. (And maybe keep less footprints, like all the shell around the keyboard.) MacBooks are doing school in this sense, and still manage to be in a bit forward. The touchpad of this XPS 15 9575 will not make you regret it too much though. On the official website you can find 3 main SKUs of Dell XPS 15 9575 . Ours is the middle one, the one recommended in my opinion. As always to follow you find a summary of its specifications. Two further notes, not evident from the mirror above. There are two methods of biometric authentication, both compatible with Windows Hello . Face recognition via the two sensors at the bottom of the screen, in the center, under the Dell logo, and fingerprint readerintegrated into the power button. Neither is impeccable, but in most cases they do not give problems. The "unlucky" (now it is so for years, and who knows when Dell decides to change it) web cam position does not help. The circular fingerprint reader is perhaps a bit small, and sometimes fails if the finger does not cover it well. Personally I prefer the latter anyway, because I found it quicker in many situations, especially those in which you do not have the precise PC in front of you when you turn it on. One of the most interesting elements of this XPS 15 9575 is the chosen processor. It is new (though now not much ) Core G . In short, Intel processor and AMD discrete card are combined in one block, without even giving up the classic integrated Intel GPU. The main reason is to save space (I would have liked to see them on the XPS 13 or even smaller ones) and reduce consumption , to the full advantage of thermal management. And the performances ? Take a look! To understand these benchmarks, remember that the model of MSI mounts the new i7-8750H with GTX 1070 Max-Q, while that of Acer uses an i7-7700HQ with a GTX 1050Ti. As you can see, the Dell i7-8705G is clearly separated from the new Coffee Lake-H , especially in multi-core, but it defends well against Kaby Lake-H last year (although the one in Aspire 7 could be "squeezed" better). The Radeon GPU instead is placed in the orbit of the GTX 1050 (not Ti); definitely closer to the latter than the MX150 . Just to make a comparison at Dell, you will have in fact more performance comparable to ' XPS 15 last year (9560) than the new model 2018 (9570 - review soon), which in fact mounts the Coffee Lake-H. This is not necessarily bad, because we are talking about a high-end machine anyway. But if you wanted the most powerful XPS 15, it's not the convertible model you'll have to watch. You can hardly find yourself comfortable with a 15 "convertible better than with the XPS 15 9575 . However, this does not mean that you will find yourself well. We have already said that it is a well built, solid, and convincing performance. The real question to ask is: why should I want a 15-inch that rotates 360 degrees? The only answer I was able to give me (but maybe you'll have others) is to match a stylus . Maybe that's not how Dell sees it, otherwise it would have included in the package, but I could not imagine anything else. After all, the touch panel invites the use of the pen, being able to flatten the screen on the back of the PC, and drawing as if on a sheet. Using it like a tablet is inconvenient. It weighs almost 2 kg and you will have to be careful when you rotate it, due to its size; and also the other methods of use (tent or stand) do not really benefit from the dimensions. Putting the keyboard resting on a plane and the screen turned towards you, the sound is a bit 'distant, because the speakers are under the base. Dell has moved them sideways, unlike the other XPS 15 where they are on the front edge, but does not change much. In the tented installation instead it is the metal part to rest on the floor, and its grip is not the best. If we leave out the discussion "rotation" (which however is an essential element for this product, otherwise it is worth taking the traditional model) everything else works flawlessly. The thermal management of the Core G is in fact optimal , with a clock that remains fixed at 4 GHz at full power and temperatures below 70 ° even in prolonged gaming. On Overwatch , with average details, you will have 60 fps constant, just to give a comparison. There is always that feeling of comfort typical of the XPS , in which you do not see a series of components thrown together at random, but working in unison. The system is in fact reactive not only thanks to the processor always ready to give the maximum, but also thanks to a very fast SSD (the values ​​written by Crystal Disk are not exact, and with empirical evidence I got values ​​around the gigabyte second). I only point out that in some rare cases I found slight momentary freeze , probably due to the software, given that present even in moments of slight load. Nothing easily reproducible, and certainly nothing universal, but it was worth bringing them back. In addition to a rotating convertible, XPS 15 9575 is a " wannabe workstation ", if you understand the term, which is not afraid of working or playing. It's not a gaming laptop, let's be clear. I reiterate that at a graphical level we are around a GTX 1050, with which you may be more familiar, but do not get scared if you will still spend hours playing with it . I found in him, in short, that reliability and the typical performance of this family, plus the inspiration of the rotation. But is this enough to justify the price? We'll talk about it soon. Beautiful as always, even more than ever . The XPS 15 2018 (and I refer both to this and to 9570) manage to improve an aspect where already in the past they were leaders. The screen is brighter (25% is more than enough indoors, even well lit), the colors are more vivid , and it is always a pleasure to use it. Ready to respond to the touch, and so defined that our usual macro is more difficult to show the pixels that compose it. You can make yourself beautiful with its sRGB or Adobe RGB (100%) coverage, especially if you work with graphics, but the reality is that this display will appeal to anyone watching it. Only note is still a slight backlight bleeding , but mainly visible in the dark and with a black background, and still not annoying. There is always room for improvement, fortunately (our). Good autonomy, even if not stellar. In particular, there is a fairly constant consumption, which as you can see also from the battery benchmarks, shown below, does not vary the autonomy between light load and more massive load. All tests were conducted at 25% brightness and battery saving mode set to "improved battery". Keep in mind that, given the high brightness of the screen, and the power of the machine, exceeding these values ​​is not difficult. In a working context such as the one described, it is not impossible to reach 6 hours of use, but the ideal 8-hour wall, which would cover the whole day, is still far away. These values ​​are close enough to the XPS 15 9560 of last year, but it fitted a 97 Wh battery, against the 75 Wh of this convertible. Relatively speaking is therefore an excellent result, even if the new XPS 15 can do better. If you want a great 15-inch convertible, 360 ° rotating, the Dell XPS 15 9575 is an almost obligatory choice. All the performance and reliability typical of this family, are now enclosed in a flexible body like never before. Add us an active pen, not included, and you will have the ideal drawing tool. And several less money in the wallet.